Air frying food has gotten popular recently, and for good reason. It’s typically healthier and often far tastier than conventional frying. We’ve taken a look at the best air fryers for getting the job done. Air frying lets you fry, roast, and grill without the need for significant amounts of oil or fat. That means you get the same delicious deep-fried taste and texture without all the grease. We all love fries and fried chicken from time to time, right? This is a great way to gain similar results without clogging up your arteries. As a side bonus, you also avoid the risk of being burnt by sizzling hot oil. Air fryers are typically as safe as using a microwave or toaster oven. It works by circulating hot air rather than liquids that can burn or scald. That also makes clean up duty far easier too. Like any cool kitchen gadget, there are plenty of options out there, so we’ve narrowed things down according to a few different key categories. Ease of use, price, and convenience are major factors here, as you figure out the best Air Fryer for you. Here are our picks. 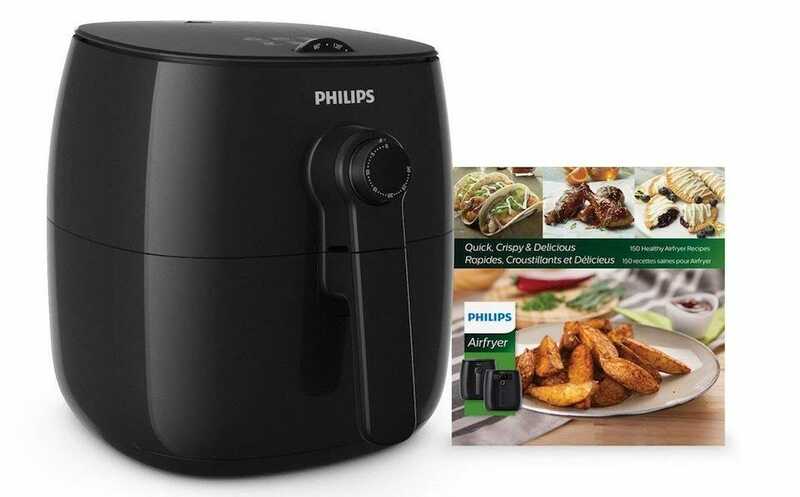 The Philips HD9621/99 Viva Turbostar Frustration Free Airfryer is a solid, dependable, air fryer at a great price for what it offers. It utilizes TurboStar technology which is fancy way to say it circulates hot air faster. The rapid circulation means the food is gets thoroughly cooked quickly. You don’t even need to flip the food while it’s cooking. It also means that the Air Fryer is instantly hot and ready to use when you turn it on. It’s perfect if, like me, you’re impatient. The air fryer has a QuickClean basket with a removable non-stick mesh so it’s easy to clean, and it’s dishwasher safe. 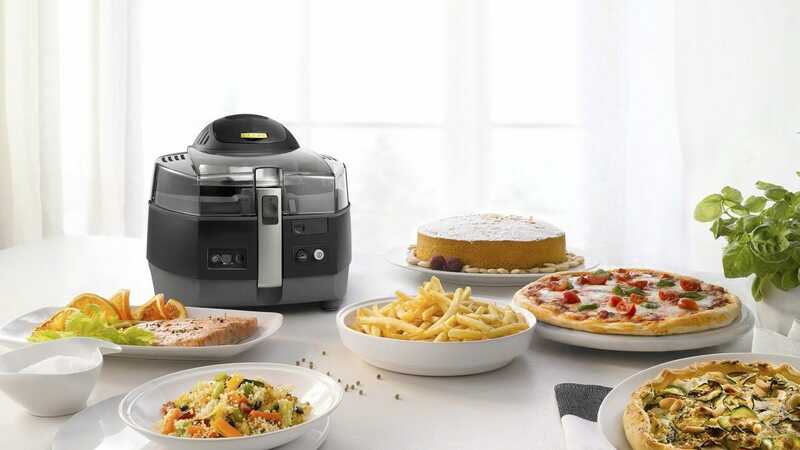 It’s smaller than other Philips air fryers so most kitchens will have plenty of room for it. It’s still big enough to make up to 4 servings though, so it works for the average family. 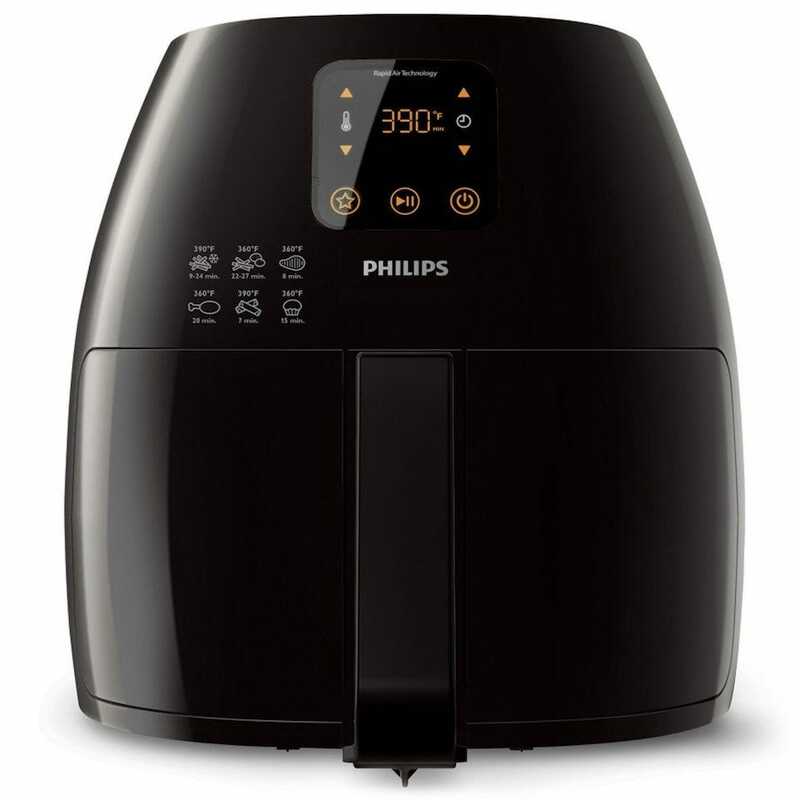 If you’re committed to using your air fryer and don’t mind spending some extra money, then the Philips HD9240/94 Avance XL Digital Airfryer is an attractive choice. It’s a souped up version of Philips’ Viva TurboStar model. It uses the same extra speedy hot air circulating technology that Philips loves to boast about, but the container is larger, with a cooking capacity of 2.65lb. There’s a smart preset button that lets you save your cooking routines. A digital touchscreen interface makes it a little easier to set temperatures and timers. You can set timers up to 60 minutes, which is about a half hour longer than the maximum timer on the cheaper model. For most users, the Viva TurboStar will do everything you need. However, if you want an air fryer with a higher capacity, or just a few more bells and whistles, this is the one for you. Just be prepared to have more room on your kitchen top. It’s chunkier than the other Philips Air Fryer and takes up a ton of room. The Big Boss Oil-less Air Fryer lives up to its name. This thing is huge. It has a capacity of 16 quarts which is plenty of room for huge meals. It even has two trays so you can cook different food at the same time. 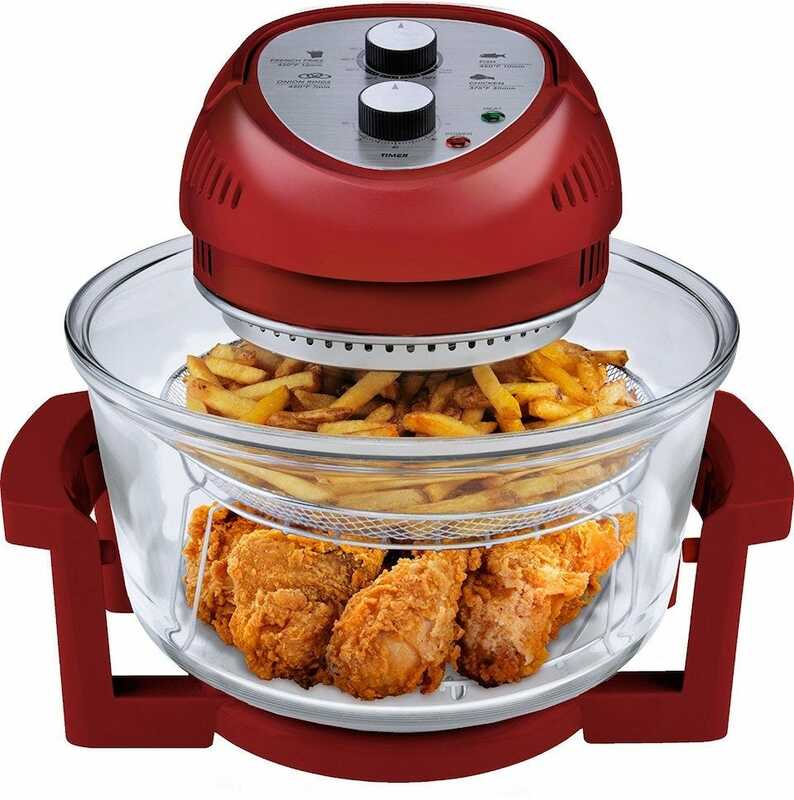 Want to cook fries and chicken at the same time? You can do it with the Big Boss. Because of its size, you really need to have plenty of spare space. This isn’t for anyone with a small apartment or kitchen. However, if space isn’t a issue, this should satisfy your needs. Unfortunately, sometimes the food prepared with the Big Boss isn’t as crispy as it would be with other Air Fryers. It’s not quite a deal breaker but it’s something to consider if you’re picky about the food you’re mass producing. 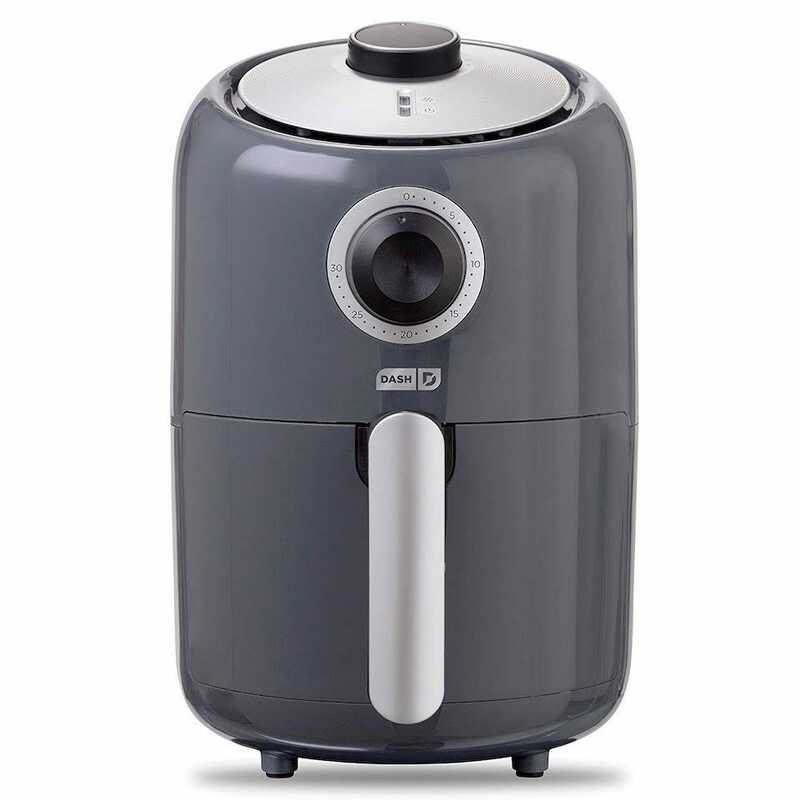 The GoWISE USA 5.8-Quarts 8-in-1 Electric Air Fryer XL is nearly as good as anything Philips offers, but at a fraction of the price. The cooking timer is a little limited so you might need to use an external timer. Also, while the main unit has a one year warranty, the frying basket only comes with a 30 day warranty which is a little weird. If something goes wrong with the basket, you’ll be SOL. Still, those are small prices to pay for an otherwise useful and affordable air fryer. Its touchscreen menu offers 8 different cooking presets, including fries, pork, chicken, steak, shrimp, cake, fish, and pizza. It offers varied temperature ranges from 180F to 400F, along with a cooking timer of up to 30 minutes. A special start/stop button lets you change time and temperature mid cook cycle, as well as shake the food up to cook more evenly. If you’re on a budget but still want something quite powerful, this is the Air Fryer to go for. The thing about new kitchen gadgets is you can never be sure if it’s a passing fad or your new favorite tool for cooking. If you’re still on the fence about buying an Air Fryer but you want to do it, give the Dash Compact Air Fryer 1.2 L a shot. 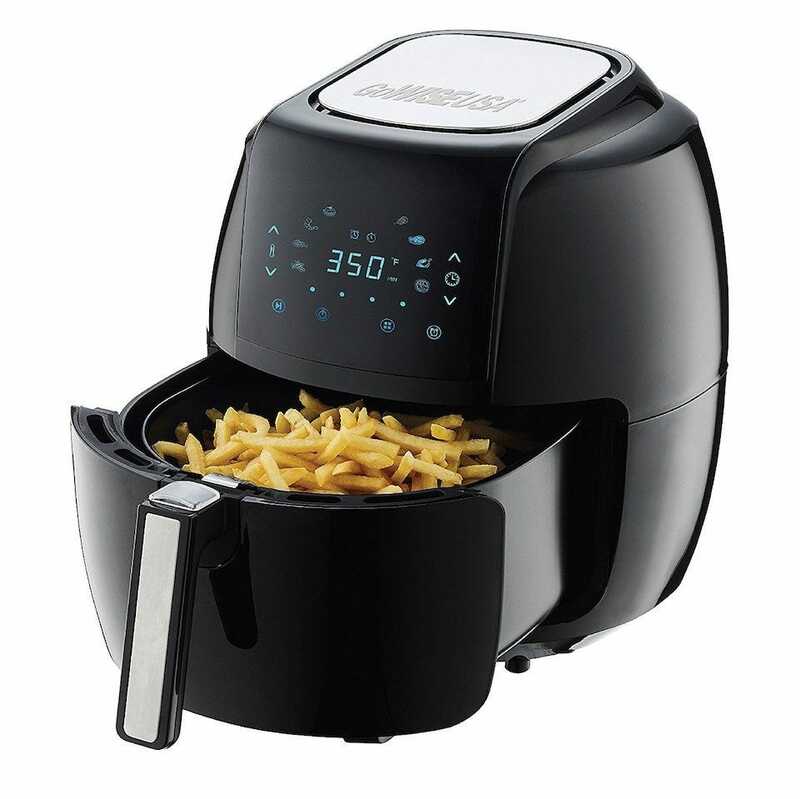 It’s super cheap at $40 but will give you some idea of how much you’d actually use an Air Fryer. It’s small at only 1.2 quarts so, ideally, you only want to be frying for one person at a time. On the plus side, it’s small and easy to store, and it’ll let you try out an air fryer with minimal commitment. A 30 minute timer is included but don’t expect particularly complicated controls here. It gets the essentials right and that’s about it. You’re not getting a lot, but you’re also not paying a lot so it’s a solid trade-off. Looking for something a little more dynamic than simple weights? These tools help you incorporate dynamic resistance training into your routines.